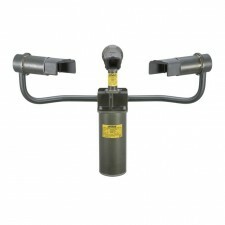 Locate all thunderstorms in your area with the BTD-300 thunderstorm warning system. All forms of lightning detected in real-time up to 83 km (51 miles) away. The system warns of potential overhead lightning activity even before the first strike occurs. Self-contained, standalone lightning warning system. Gives advance warning of overhead lightning risk. Proven, professional-grade detection system. 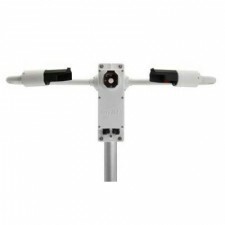 Biral Visibility and Present Weather sensors are used in a range of aviation applications from the determination of Runway Visual Range (RVR) to the collection of weather information METAR reports. 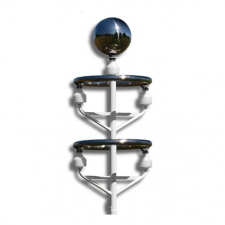 Biral visibility sensors are used to control the intensity of aviation obstacle warning lights fitted to wind turbines throughout Europe. By reducing light intensity in good visibility the environmental impact is reduced whilst the safety of aircraft is maintained. Biral specialises in the design, manufacture and distribution of high quality meteorological sensors for the professional market. Biral manufacturers the VPF and SWS range of Visibility and Present Weather sensors as well as the unique BTD-300 Thunderstorm Detector. Our meteorological products are used in the most demanding applications such as aviation, offshore platforms and wind energy. 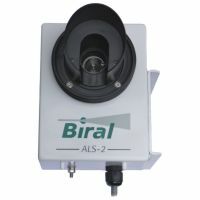 The Biral name has long been associated with aerosol research and this connection is continued with the development of our Aerosol Optical Tweezers in association with Bristol University. The company was established in 1975 and is in private ownership.